Hypnotherapy or Clinical Hypnosis, therefore, is the use of an altered state of consciousness, or trance, for a therapeutic endpoint. Hypnosis is an altered state of consciousness. This means that people are not treated with hypnosis but are treated in hypnosis. Goals for therapy are discussed and agreed and a full explanation of hypnosis is provided. Any questions or misconceptions about hypnosis would also be dealt with. Clinical Hypnosis practiced by a trustworthy and professionally qualified therapist is completely safe. The subconscious mind is the source of many of our problems and self-images. Hypnosis is a natural and effective technique for accessing the subconscious mind – the key to unleashing our potential, changing our unwanted habits and behaviors and finding solutions to our problems and concerns. All hypnotic states are characterized by a tremendously pleasant state of relaxation, which individuals allow themselves to enter so that desired, beneficial suggestions may be given directly to the part of the mind known as the subconscious. Under hypnosis, the conscious, rational part of the brain is temporarily bypassed, making the subconscious part, which influences mental and physical functions, receptive to therapy. The trance state is, therefore, a natural phenomenon. During the trance state, there is a heightened concentration for the specific purpose of maximizing potential, changing limiting beliefs and behaviors and gaining insight and wisdom. Although hypnosis may be light, medium or deep, a medium trance is usually used during which metabolism, breathing and heartbeat slow and the brain produces alpha waves. Normal states of consciousness i.e. sleeping, dreaming, being awake, can be detected in the wave patterns produced by the brain. 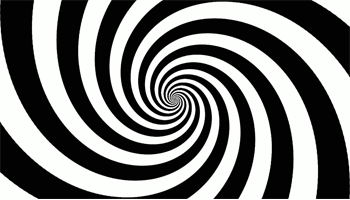 The state of hypnosis differs from all three. The brain waves associated with quiet, receptive states are called alpha waves. In alpha states, the body gradually relaxes. Hypnosis, meditation, daydreaming, being absorbed in a book or music or television, driving and arriving at your destination without recalling all the usual landmarks etc. are good examples of alpha states.